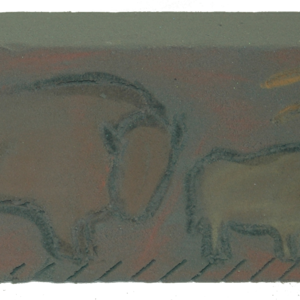 Rock art can be basically described as any human-made markings made on natural stone, whether carved or painted. There are two different types of rock art: petroglyphs are rock art that is carved into stone surfaces, whereas pictographs are rock and cave paintings. The earliest rock art is very ancient indeed. The earliest evidence of painted rock art could be as much as 60,000 years old! It was found in two rock-shelters in Arnhem Land, in Northern Australia. Check out our awesome activity and have a go at creating your own piece of (mock) rock art! 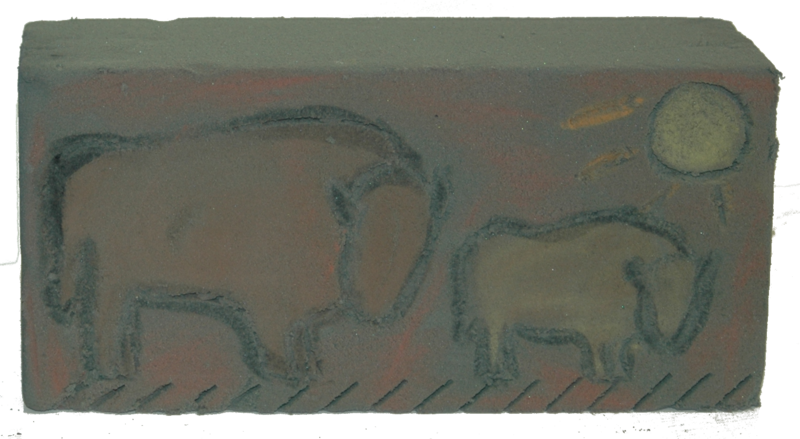 Think about what you would like to include in your piece of rock art. Remember that rock art often features pictures of people and animals. Sometimes the images tell a story, like a hunt. Other rock art uses repeated patterns and shapes. Draw out your design on a piece of paper that is the same size as your piece of ‘rock’ (plant oasis). You might like to try out several designs before you choose which one you are going to make. Using your lollipop stick, carve your design onto your rock. Once your design is complete, it is time to add colour. Scribble some of your pastels and charcoal onto a piece of paper, and then use your finger tips to rub the colours onto your design. Be careful not to press to hard – remember your rock is very soft! You can also make rock art sculptures using these materials. First, shape your rock using your lollipop stick. This can get very messy and dusty, so wear old clothes and cover your table top or work outside. When your sculpture is complete, use your pastels and charcoal to add colour. Our finished works of rock art!